It's that time of year again for Warren Buffett's annual "Woodstock of Capitalism." On Saturday, May 6, the Berkshire shareholder meeting 2017 will take place in the company's hometown of Omaha, Neb. The massive event will be held in the 18,975-seat CenturyLink Center in downtown Omaha and include a six-hour Q&A with Buffett and Berkshire Vice Chairman Charlie Munger. Even if you don't own a share of Berkshire Hathaway Inc. (NYSE: BRK.A), which are currently priced just below $250,000 each, the meeting is an important event to follow. As arguably the world's most successful investor, Warren Buffett's wisdom on the economy, politics, and individual stocks can provide insight to every single investor. Buffett has long been known as an anti-tech investor. Berkshire doesn't hold any of the white-hot tech stocks like Facebook Inc. (Nasdaq: FB) or Amazon.com Inc. (Nasdaq: AMZN). One of Buffett's only high-profile tech investments was him purchasing $10 billion worth of International Business Machines Corp. (NYSE: IBM) stock in November 2011. And Buffett made another major tech investment this past year. In fact, Berkshire's 2016 13-F filing showed a purchase of 9.8 million shares of Apple Inc. (Nasdaq: AAPL) worth $1.1 billion in Q1 2016. Since then, the Oracle of Omaha has upped his stake to 133 million shares, which made Berkshire an owner of more than 1% of all AAPL. That put the company in the top 10 biggest owners of Apple stock. The move shocked Wall Street since Warren Buffett has typically bought tried-and-true stocks instead of tech stocks. After all, Berkshire Hathaway's top holdings include mostly traditional stalwarts like The Coca-Cola Co. (NYSE: KO) and General Motors Co. (NYSE: GM). Buffett's slow move into the tech sector indicates a shifting strategy for the legendary investor – a strategy that could be at the forefront of the Berkshire shareholder meeting this weekend. There's no doubt Warren Buffett will comment on the massive stock market surge following Donald Trump's election win. During the presidential campaign, Buffett was a vocal supporter of Hillary Clinton. When asked in April 2016 how a Trump presidency would affect Berkshire Hathaway's performance, he bluntly quipped that it "won't be the only problem." But Trump's win last fall has proven hugely beneficial for Berkshire's portfolio and the broader markets. Since Election Day on Nov. 8, 2016, the Dow Jones and S&P 500 have gained 14.2% and 11.6%, respectively. Shares of BRK.A and BRK.B are up 13.2% and 13% over the same time. Buffett has since become more supportive of Trump as the current president. In an interview with CNN Money, he mentioned it's important for the "American people to coalesce behind a president." Expect to hear Buffett's thoughts regarding Washington's influence on the markets moving forward. But the third question that could come up at the meeting is the most mysterious. 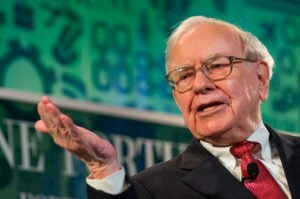 It concerns a decision that will have a tremendous influence on Berkshire's future – and it's something Buffett and the company's board have been intentionally concealing from the public.